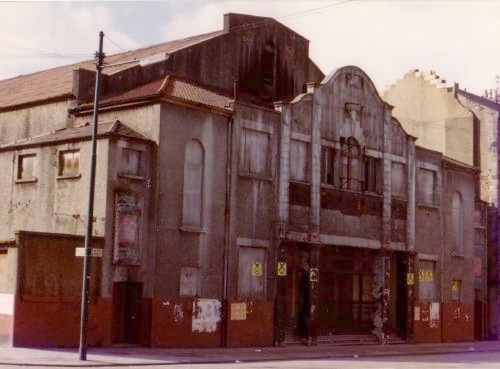 Opened 25.4.32 by Harry Winocour (W Regent) at back of the Govanhill Picture House. Arch. Cowieson's. s. 1,250. Sold, 1954, to Green's. Cl. 1967. Bingo until 1972. Dem. 1981. Photo c1980 courtesy Chris Doak.